The Importance of retaining Data & how long for! 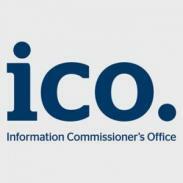 Home/Blog, Data destruction, Data Storage, Lloyd George/The Importance of retaining Data & how long for! If you keep and process personal details of individuals then you must ensure that you are abiding by the Data Protection Act 1998 otherwise you could be breaking the law. 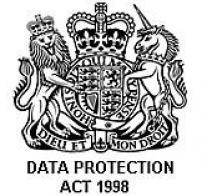 Principle 5 of the Data Protection Act states ‘Personal data processed for any purpose or purposes shall not be kept for longer than is necessary for that purpose or those purposes.’ However it does not state how long a retention period should be for a document. A compromise between keeping data for too short a time period which could be detrimental to the data’s subject and your business, and too long a time period to ensure data is not held for longer than it is required needs to be decided upon. DataSpace enables clients to apply destruction dates to their files and boxes stored at our secure document management facilities, to be able to easily manage the destruction dates and retention of their items. By applying destruction dates you can view items that are nearing their destruction dates on our unique web based application FileLive or you can contact us and we can look into your account for you. Then you are able to evaluate whether the document is still required or if it is to be destroyed. If you wish DataSpace to securely destroy your files we will then ask for a physical signature from the authorised signatory on your account, to ensure you do wish the particular items to be destroyed and it is processed in the correct manner. Once the destruction of your items has been completed we will present your company with a certificate of destruction giving you peace of mind that your items have been destroyed in a secure and confidential way, and that the audit trail up until the item has been destroyed will be kept.